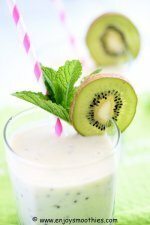 For those days when you are feeling a little bit bleh, get out your blender and try this little pick-me-up. After several days of non-stop rain, I was desperately in need of some cheering up. A quick check to make sure I had frozen pineapple on hand, plus a few other ingredients and I was all set to go. It was like being transported to a tropical island, if not in body then definitely in spirit. I felt better immediately. Pineapple and coconut is a dream combination, the two were just meant to go together. 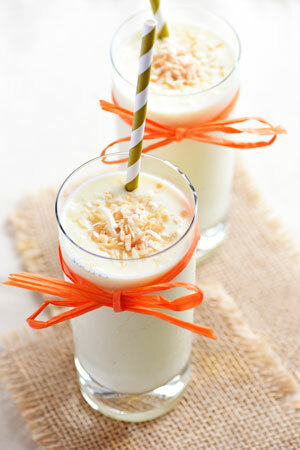 The coconut brings out the flavor of the pineapple without being overpowering or too sweet. Truly a match made in heaven. Not only does coconut milk add creaminess to smoothies, but like other coconut products contains healthy fats, which help to fuel your body and keep you feeling full for longer. Coconuts are highly nutritious, containing iron, calcium and magnesium as well as being high in fiber. 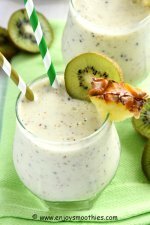 The other great benefit of these smoothies, apart from their deliciousness, is the amazing health benefits of pineapple. Pineapples contain a storehouse of vitamins, antioxidants and particularly the enzyme Bromelain, which aids digestion, helps alleviate inflammation and pain associated with arthritis and rheumatism. Like other tropical fruit, they are also rich in vitamin C, which helps boost immunity, manganese and vitamin B. And despite their sweetness, one cup only contains 82 calories. Pineapple is a sweet fruit that pairs well with other tropical fruits. But it also goes well with citrus - really anything that is orange colored. I often find that fruits of a similar color seem to complement each other. Try it for yourself. 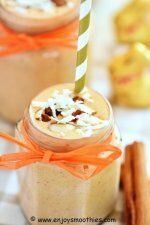 Add the frozen banana, pineapple chunks, coconut yogurt and coconut milk to your blender. Whizz on high until everything is thick and creamy. 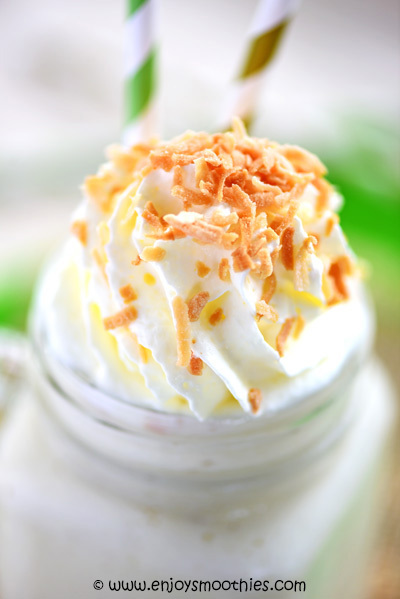 Pour into two tall glasses and sprinkle the toasted coconut over the top. Note: If you wish a more coconut flavor, add ½ teaspoon of coconut essence. Don’t be afraid to throw a whole orange into your blender. They add fiber and texture. 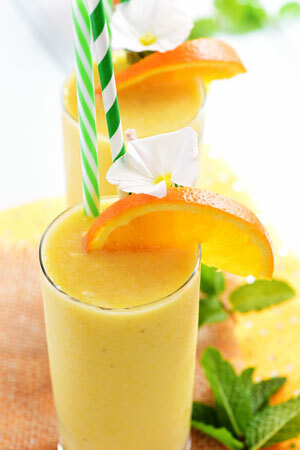 Blend together the frozen banana, orange segments, pineapple slices, coconut milk and grated ginger. Then pour into two tall glasses and garnish with orange slices. Blend together the frozen banana, pineapple slices, vanilla yogurt, coconut milk and desiccated coconut until smooth and frothy. 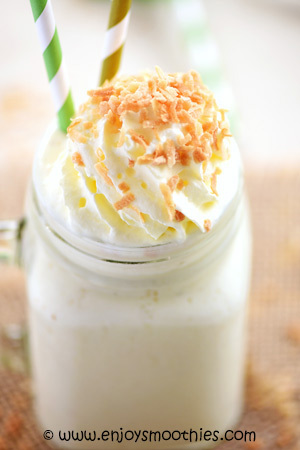 Pour into two glasses and top with the toasted coconut.